From Mediaite: Are you only welcome in the GOP if you’re white? 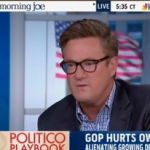 Joe Scarborough chimes in, reports Mediaite: “On Friday morning, MSNBC’s Joe Scarborough, host of Morning Joe, blasted Republicans for focusing on the wrong issues in their efforts to reassemble a coalition of voters that can win national elections. He told his fellow co-hosts that the party leaders know but will not say that it is conservatives on talk radio and on cable news that communicate a message to voters which suggests ‘if you’re not white, you’re really not welcome in this party. '” Read more about the segment here. From Gossip Cop: Happy 60th Birthday, Kathie Lee Gifford! Writes Gossip Cop, “Kathie Lee Gifford turned 60 on Friday, and her co-host Hoda Kotb surprised the ‘Today Show’ host outside her Greenwich, Connecticut home with balloons, a mariachi band, and of course booze. The Birthday Girl emerged from her home already holding a Bloody Mary naturally, and appreciated Kotb’s surprise, which also included a plane flying above wishing Gifford a ‘Happy Birthday.’ Meanwhile, Matt Lauer, Savannah Guthrie, and Natalie Morales toasted Gifford with champagne and wished her the best.” Watch video of the segment here. From Geekosystem: A first for outer space, reports Geekosystem: “Today, NASA demonstrated just how neat it would be if the Earth had two moons. This video, stitched together from numerous stills captured by the Mars Curiosity rover’s Mast camera, offer the first look at Mars’ larger moon, Phobos, passing in front of and blotting out the planet’s smaller moon, Deimos. In addition to being one heck of a cool image, NASA scientists hope that the new video will help them learn more about the strange orbits of Mars’ twin moons. Phobos, the larger of the two, appears to be orbiting closer and closer to the planet’s surface. 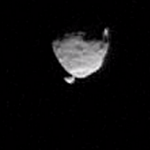 Meanwhile, tiny Deimos appears to be straying farther and farther from it’s celestial partner.” See the video here. From Styleite: There’s more Alexa Chung coming your way. Writes Styleite, “Oh, Alexa Chung, you sly minx. Back in April the divine being of personal style tipped us off thatEyeko’s skinny liquid liner was the secret to her perfectly winged cat-eye – that and hitting the gene lottery jackpot, of course – and now it’s surfaced that she’s inked a deal with the indie cosmetics brand.Chung and Eyeko have collaborated on a $45 set including a waterproof black eyeliner and waterproof black mascara, which will be released in November at Selfridges in the UK and Sephora over here. The packaging will apparently bear not just her name but her eye-themed art. ‘We’ve been fans of Alexa’s for a long time,’ Eyeko’s Max Leykind told WWD.” Read the story here. From SportsGrid: More A-Rod news, reports SportsGrid: “A report by ’60 Minutes’ says that Alex Rodriguez — or more specifically, members of his inner circle — implicated fellow MLB players in the Biogenesis scandal by leaking documents with Ryan Braun and Francisco Cervelli’s names in documents to Yahoo! Sports. A-Rod’s lawyer has already dismissed the claims as untrue, but in this day and age it’s difficult to take anyone’s word for anything when it comes to performance enhancing drugs in baseball. The Miami New Times published a report in January that named A-Rod as a client of the Biogenesis clinic. The documents the New Times used had some names redacted.” Read the full story here. From The Mary Sue: It’s a good day for conspiracy theorists. 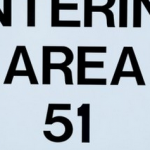 Writes The Mary Sue, “Conspiracy theorists everywhere are having a party right now, shouting and throwing their tinfoil hats to the sky in celebration: a recently declassified CIA report acknowledges Area 51 is, in fact, an official thing. Want to know more about one of the most mysterious locales in the United States? A recent NSA report (about tests of an experimental Cold War-era plane, the U-2), mentions the base by name and gives us some insight into how it was established, and why that tiny plot in the middle of the Nevada desert, of all places. From the report: ‘On 12 April 1955, Richard Bissell and Col. Osmund Ritland (the senior Air Force officer on the project staff) flew over Nevada with Kelly Johnson on a small Beechcraft plane piloted by Lockheed’s chief test pilot, Tony LeVier. They spotted what appeared to be an airstrip by a salt flat known as Groom Lake, near the northeast corner of the Atomic Energy Commission’s (AEC) Nevada Proving Ground. '” Read all about it here. From The Jane Dough: Looking for a new doctor? The Jane Dough has a suggestion: “Get outta here WebMD and that one guy on Yahoo! Answers who always convinces me that I have a tumor/every single cancer/a poltergeist/an imbalance of humors which requires immediate leeching — when it comes to diagnosing hypochondriacs and underemployed millennials without insurance , there is a new medical professional in Internet town! 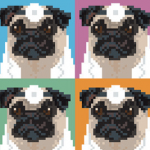 Doctor Pug is a “medical dog providing heals and feels with his expertise and #Pugscriptions” on Twitter. Can Doctor Pug reattach the finger you severed while emulating chefs on Chopped? NOPE — but he can tweet you a prescription for a pizza compress and three hugs! Should the medical board revoke his license? Absolutely. Is he adorable? You bet he is!” Check out Doctor Pug here. From The Braiser: Today, the site has some words for non-child friendly restaurants. Writes The Braiser, “Are someone’s sniveling brats ruining your perfectly good barbecue, diner, or fast-casual experience? Because an increasingly large number of those places are banning children either in the evenings or altogether, so that adults can have a more comfortable experience. Here’s the thing, though: we’re pretty sure parents can intuit when their screaming children will and won’t be tolerated. Also, maybe they’re screaming because your barbecue is crappy. 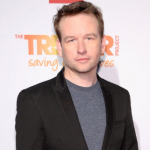 To wit: The Walking Dead’s Dallas Roberts took his family to noisy, bustling, “fussy food”-serving, ostensibly un-child-friendly Alder, and Wylie Dufresne and his staff remain intact as humans.” Read on here.